YOU Can Receive a FREE Quote TODAY! FairLifts schedules all-inclusive helicopter lift and executive charter solutions for companies in Pensacola, Florida. Our expert team of agents ensures prompt helicopter service for construction, executive and logistical transport, air crane support, freight and cargo transport. A personal concierge will guide you through the reservation process and assist you with any additional services you may need. 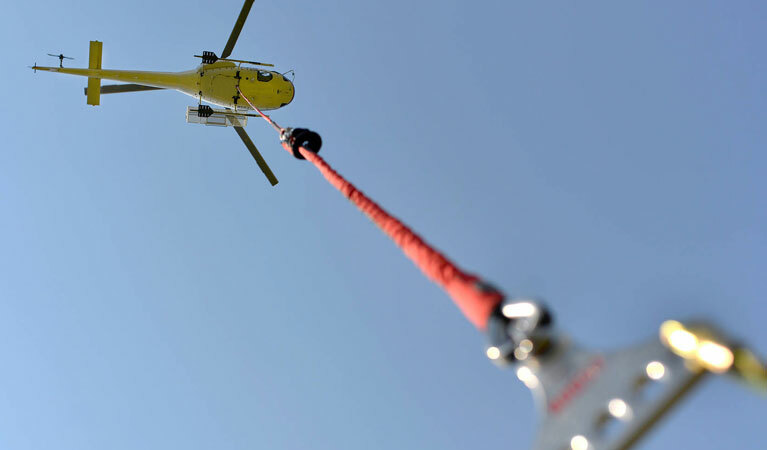 Our network of affiliates offers a variety of helicopter lift solutions, such as pipeline placement, wildfire containment and extinguishing, energy resource conveyance for the oil and gas industries, heavy lift operations, and the delivery of sensitive, confidential or heavy freights or materials. Call us at 1-800-318-8940 we give free Quotes! Pensacola, a seaport on Pensacola Bay, is protected by the barrier island of Santa Rosa and connects to the Gulf of Mexico. The city is home to a United States Naval Air Station, the Blue Angels flight demonstration team, and the National Naval Aviation Museum, as well as the University of West Florida campus. The city hosts a number of annual festivals and events, including the Pensacola Seafood Festival, the Pensacola Crawfish Festival, the Great Gulfcoast Arts Festival, the Children's Art Festival, and Pensacon, an annual comic convention. Also, a number of medical centers are near the city, such as the Gulf Breeze Hospital, the Andrews Institute, the Santa Rosa Medical Center, and the Naval Hospital Pensacola, among others. FairLifts works with local industries to provide an array of helicopter lift solutions, such as surveying, sightseeing tours, executive charters, construction lifts, and medical and emergency transport. FairLifts works with an extensive network of helicopter lift affiliates to provide construction, heavy lift, freight transport, and emergency and medical charter helicopters to a variety of industries. A qualified crew of FAA-certified pilots is on hand to meet your helicopter lift needs. FairLifts schedules construction helicopters in Pensacola to assist with planning, building, demolition and cleanup projects on construction sites. Construction helicopters are equipped to place beams, lift crews, transport concrete and machinery, and provide emergency medical transport. FairLifts arranges heavy lift helicopters in Pensacola to support sizable lift projects. Heavy lift helicopters are capable of hoisting building materials, machinery, logs, beams, power lines and other hefty objects that cannot be safely or efficiently lifted by a ground crane. FairLifts books freight/cargo helicopter services in Pensacola to transport sensitive freight or cargo. Freight/cargo helicopters are effective in lifting and transporting cargo to offshore rigs, ships, military stations or remote areas without landing strips. FairLifts coordinates emergency helicopter lifts and agricultural services in Pensacola to facilitate emergency medical transport, as well as to aid agricultural projects, such as water resource delivery, crop treatment, forest firefighting, and land surveys. FairLifts has an experienced team of customer service agents on hand to assist you with all your helicopter lift and charter needs. Call today, or complete this form, and an agent will contact you within 24 hours to provide the assistance you need. To get more information about the comprehensive range of industrial, agricultural, medical and executive helicopter solutions, contact one of our expert customer service agents at 1-800-318-8940 and let us put together the right quote for you. Don't Wait! Call 1-800-318-8940 now!